Yes, I run a ministry that launches fifty thousand Bibles a year by balloon into North Korea. Yes, our ministry creates new versions of the Bible every year, like our new North Korean/South Korean Parallel Bible. Yes, I have helped to create programs like Bibles Unbound and the Billion Bible Club, and I am committed to creating more such programs in the future. I, in other words, love the Bible and am passionate about distributing it. If we are not strategically careful, we may conclude that Bible distribution is an acceptable end in itself rather than a peerless accelerant to Christian discipleship. Worse yet, if we are not theologically careful, we may conclude that it is our job to get Bibles into people’s hands but the Holy Spirit’s job to help them from there. This of course runs counter to Jesus’ great commission, which does not admonish us to distribute the Bible but rather to “teach people to obey everything I have commanded.” The latter presupposes the former, but we should never presume that it is an inevitable outcome of it. Don’t distribute Bibles without a discipleship component in place to enable each recipient to use the Bible to learn how to obey everything Christ commands. It is of course not always easy to do this. How, for example, can you follow up on fifty thousand Bibles dropped by air? Answer: By putting discipleship in the air along with the Bibles, which is why we do daily discipleship broadcasting into North Korea by shortwave radio. The point is, never take the discipleship component of a single Bible distribution for granted. Don’t simply presume the Holy Spirit will make it happen. There is no biblical warrant for such an assumption. Quite the opposite, the Bible appears to presume that it is to come with an instructor attached everywhere it appears. So next time you are considering supporting a Bible distribution effort, make sure to ask the distributors this question: What’s the plan to disciple the people who receive the Bibles you are proposing to distribute? 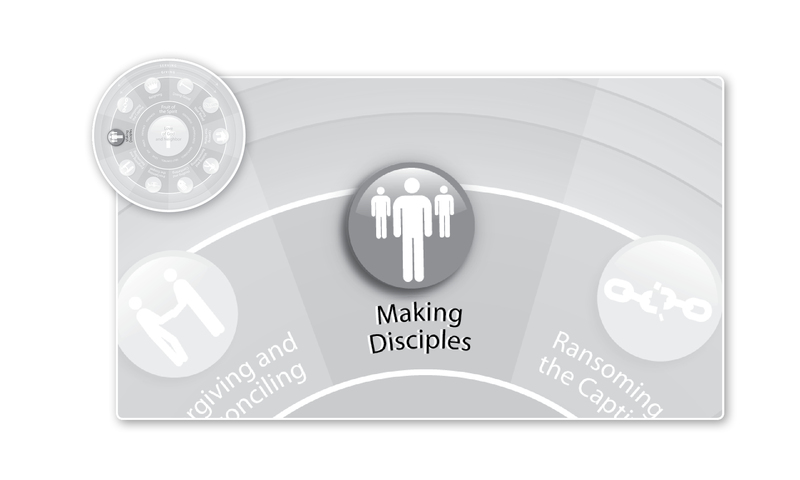 If you discover that their discipleship plan is less developed or less well funded than their printing and distribution plan, please encourage them to print and distribute fewer Bibles and use the savings to make sure that the distribution becomes a means to the end of teaching people to obey everything Christ commanded, rather than an end in itself. This entry was posted in Bible, Making Disciples and tagged Bible balloon launch, Bible distribution, Bibles Unbound, Billion Bible Club, Great Commission, North Korea South Korea Parallel Bible, Parallel Bible. Bookmark the permalink. This is a great strategy & good stewardship. It is so obvious that many organizations tend to overlook it. I hate to think of Bibles “being wasted” because the receivers have no idea who or what the Book is about. Thanks, Timsapp30045. What a high calling and honor we have that God uses each of us to open the Bible to others through discipleship! I know that you are sending Christian saints back into North Korea, risking their lives to spread the good news to the lost souls! This after they risked their lives to get out of North KKorea!!! May God protect them and the Holy Spirit bless their efforts! Since so much media from South Korea is getting to North Korea via flash drives, is there a way to also send bibles and media. Maybe teachings from the Underground University broadcast? I know the Faith Comes By Hearing ministry had a cool small mp3 player with headphones of the New Testament. I was thinking of something similar. Also are there any books that can be translated into North Korean dialect or even new materials written by North Korean Christians that can be dropped along with the Bibles? Good to hear from you, Ted–sure do appreciate your creativity and good thinking. I especially like the “sola scriptura” comment–I’d not heard that before. On the balloon launches we’re electing to stick with Bibles as our sole payload. I’ll have to write up a larger post as to why, since there are a few different reasons. We do make extensive use of electronic media and are always exploring possible expansion options though our favorite method of scripture transmission remains memorization, a staple of the NK underground church. Certainly with electronic media one can fairly well launch a seminarian’s bookshelf, so the decision to send only the Bible is due to elective and strategic reasons rather than technological or size limitations. By the way, we dearly love Faith Comes By Hearing and in fact do partner with them regularly on North Korea work, including a North Korean dialect dramatized New Testament recording that we did with them. FCBH rocks! Finally, we are always translating additional resources into the NK dialect and writing new ones as well. Though we don’t launch them by balloon, they play an important role in our work overall. Several new ones in the works, so I’ll have to post about that soon, too! Thanks for the quick reply. I look forward to hearing about the new resources being translated into the NK dialect and new ones being written. I think it is awesome that Christians and theologians internationally are part of the conversation, commentary and study of God’s word and application to the church. Theology done not in ivory towers, but done in community. While I know there are North Korean Christians, I’m curious what North Korean Christian teachers and theologians have to teach us (the Body of Christ) and North Koreans about His Word and the world today. That is great to hear you have worked with FCBH. It is totally understandable that you would seek to be strategic in what you distribute and how you distribute it. I’m fascinated by the NT dramatized in North Korean dialect. Would love to hear that someday.